<< Back 2 Fossil Xenacanthus Shark Teeth - AN ULTRA RARE SHARK! 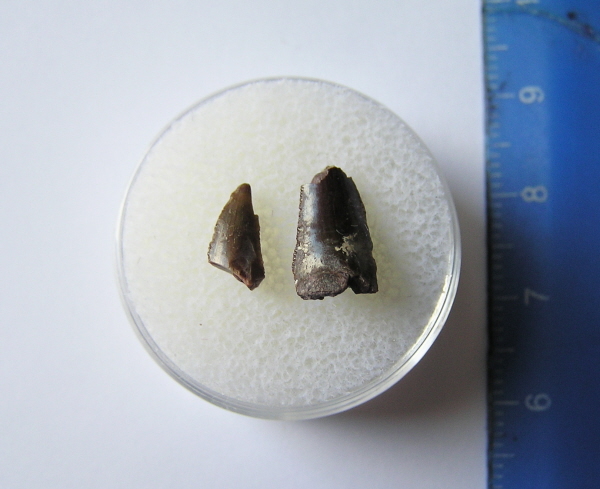 2 Fossil Xenacanthus Shark Teeth - AN ULTRA RARE SHARK! This was a rare shark, and these teeth are VERY rare. I challenge you to find any more for sale on Ebay or beyond. You will receive 2 of these rare teeth in a padded, plastic box. NB - These are NOT perfect teeth, and have various chips and breaks. BUT they are VERY rare.! These are the first teeth of this type I have ever sold on this website, and are unsold stock I have rediscovered. I only have a few sets left and then they are ALL GONE!